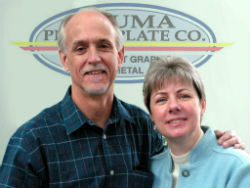 Aluma Photo-Plate Co. is a family-owned business. The family business is a vital force in the American economy. It is unfortunate, even alarming, that such a vital force has such a poor survival rate. Less than one third of family businesses survive the transition from first to second generation ownership. Of those that do, about half do not survive the transition from second to third generation ownership. Since our grown children and almost-grown grandchildren have expressed no desire to carry on Aluma Photo-Plate Co., we have adopted an extended family to uphold our tradition of quality products and service for the future. They are committed to us and we are to them. Family comes first … so, meet the fam! Woody came to Aluma in 2003 and with great phone skills, quickly rose to be Lead Salesman. 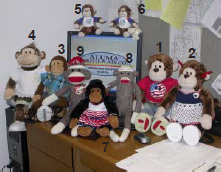 WillaMae met Woody in 2005 and has apprenticed her way to the Asst. Bookkeeper. “Uncle” Willie is the "Go To" person when we want something done and everyone else is busy. Christy met Willie in 2007 and recently has displayed skills in Marketing and IT and is in training. Kacy & Kona were born in 2009 and are your typical "shop kids" , getting into everything. 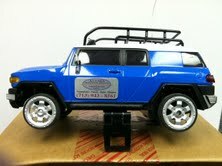 They Love their "Uncle" Willie and are often seen with him in Woody's FJ Cruiser on errands. Sandy came to us in 2010 from another family and quickly became the “shining star” of Aluma Photo Plate. Her wisdom in business matters soon became legend and her smooth / savy personality makes everyone want to do more and be better employees. Frank & Margaret (Hot Lips) have "dabbled" in many aspects of Aluma, but don’t seem to be too serious about specializing in any one thing. Woody is always saying: "Lighten up, don’t be so serious; and let's just have some fun".